It’s funny to think how much effort we put into making sure that our lunches and evening meals are exciting. From the cute bento lunch box ideas that quite frankly look too good to eat. To asking each other on social media what we are having for tea. But what about breakfast? I’m not sure about you but we have the same boring offerings each and every morning. And when you consider that breakfast is supposed to be the most important meal of the day – why aren’t we putting more effort into it? 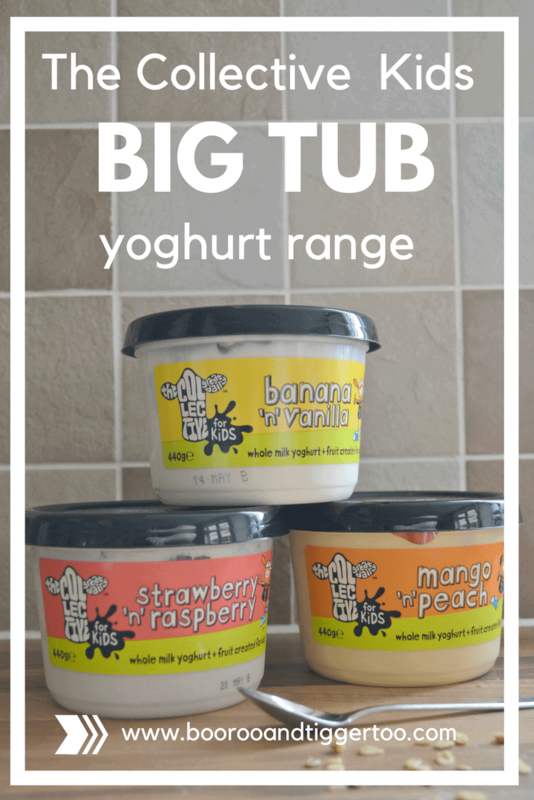 We’ve been attempting to liven up our breakfasts using The Collective Kids big tub yoghurts. Banishing the soggy slices of toast. Replacing it with spoonfuls of whole milk yoghurt and fruit. Enjoyed on its own, with added chunks of fruit or with granola sprinkled on top for added crunch. The new range of fruited big tub of kids’ yoghurt uses only natural ingredients with British whole milk and real fruit. Containing only sugar found in milk and fruit with no artificial sweeteners. Despite being packed with fruit, The Collective Kids big tub yoghurt contains less than 9.5g sugar per 100g. Available in three fruity flavours; Strawberry & Raspberry, Mango & Peach, and Banana & Vanilla. The Collective Kids big tub yoghurt are 440g which makes them perfect for sharing with all the family. Currently available from Tesco, Waitrose, Sainsbury’s and Ocado. 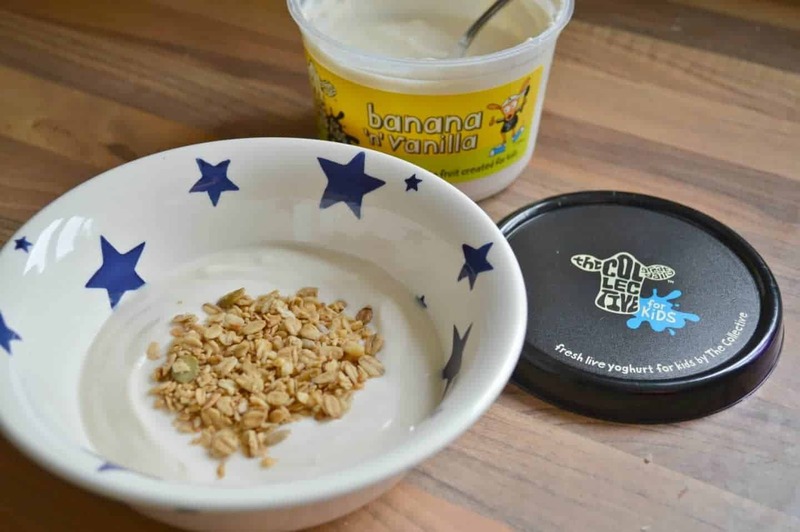 Whilst we have been enjoying adding yoghurt to our breakfasts, I have been looking out for more ideas on how I can incorporate it into our diet. My fellow bloggers have come to my rescue with some delicious ideas on breakfast ideas using yoghurt.